Breeders’ Cup 2015 Challenge Race Schedule & Results: To compete in any of the thirteen 2015 Breeders’ Cup races that take place during the two-day event at Keeneland in Lexington, Kentucky on Friday, October 3oth and Saturday, October 31st, horses must display that they are up to the challenge by competing in races throughout the year. The best of the best will travel from all over the world to take part in the richest races in the sport of kings, but first they must qualify. The best of the best will travel from all over the world to take part in the richest races in the sport of kings, but first they must qualify for the 2015 Breeders’ Cup at Keeneland. There are three ways to qualify for the Breeders’ Cup. The first is to win a “Win and You’re In” Challenge race. 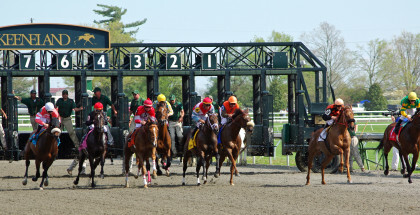 The second way to qualify is the earn points by competing in graded stakes races. The third way to qualify is to be selected by an expert panel. Only fourteen horses compete in each of the Breeders’ Cup races on October 30-31. Seven of those starters earn their entry by winning a “Win and You’re In” Challenge race or earn points by winning graded stakes races. The panel of experts selects the remaining seven contenders in each of the Breeders’ Cup races based on points accumulated when competing in graded stakes. This assured the highest quality fields for each race. 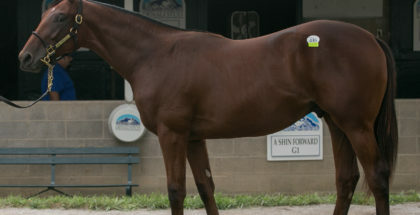 Breeders’ Cup races include the Classic, Juvenile Turf, Dirt Mile, Juvenile Fillies Turf, Distaff, Juvenile Fillies, Filly & Mare Turf, Filly & Mare Sprint, Turf Sprint, Juvenile, Turf, Xpressbet Sprint, and Mile. Friday, October 30, 2015 will feature four Breeders’ Cup races and Saturday, October 31, 2015 will feature nine races including the $5 million Classic. 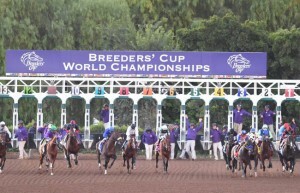 Learn more about the Breeders’ Cup World Championship at www.breederscup.com.